Your one stop stop for wedding guest dresses this season! My spring and summer shoe wardrobe! If you’re looking for size inclusive white denim at all price points, you’ve come to the right place! Today’s #TryOnConfidential on my IG stories features one of my absolute FAVORITE closet staples… the jumpsuit/romper. I wasn’t always a “Jumpsuit Kween” but I adapted the trend a little over a year ago and I’ve never looked back. Why do I love them so much? Funny you ask. I actually love them because they are easy to throw on, you can INSTANTLY look polished and stay comfortable. I also love that I don’t have to wear shorts underneath to prevent any chafing situation. So basically, it’s my lazy girl hack for looking chic and staying comfortable. I’ve gone ahead and divided them by categories, but if you prefer to view them all you can just scroll to the bottom to see everything. Many items are on sale so be sure to stock up for every occasion. Would love to hear your thoughts or any questions below! I own two pairs of capri length shape wear, this ensures that you won’t see a line on your thigh from typical short length shape wear. All of the below styles are lightweight but supportive so that you’ll stay comfortable all day long! Coming in HOT with this one, you have requested this one like crazy. I’m excited to bring you my sports bra #TryOnConfidential featuring my favorite styles ranked from high impact to low impact. I’ve been working on this post for over four months, wear testing these for you. Be sure to tune into my IG stories to see how all of these styles fit on me. I wear a 34FF - 36FF (UK sizing), I’ve formerly worn a 38DD. If you haven’t been fitted for a proper bra in the last year, PLEASE do yourself a favor and go get professionally fitted at a local speciality shop or a Nordstrom. It will change your life. Feel free to reach out with any questions. What did you think about this? Was it helpful? Again, I HIGHLY recommend getting fitted if you’re unsure about your sizing. Feel free to reach out with any questions and be sure to tune into my IG stories. Happy #TryOnConfidential Friday, my friends! Last week on my IG Stories, I put up a poll and asked if you wanted to see coats and jackets or sports bras. With close to 2,000 votes, it was nearly a 50/50 split. Since we’re still in the thick of winter, I figured I’d do coats first! But don’t worry, sports bras will be soon! This mini-emergency kit is a great gift for ANYONE! They make all different styles and kits depending on your needs. They also make great kits for men too, best part? They’re 20% off with code THISISIT20! Not sure how I ever survived a holiday without a little Bauble Bar sparkle. I love these hoop earrings which comes in a festive set with a headband for a few dollars more! This little roller ball perfume is what dreams are made of! It comes in the cutest packaging, perfect for the gal on the go! No joke, I’ve been hiding this peppermint bark from Brian! If you’re a peppermint/chocolate fan - it’s SO good! I love that it comes in a festive box too. Easiest way to spice up any party? Add a little Cards Against Humanity! I just introduced it to my family this previous Thanksgiving and holidays will never be the same. If you wear rain boots in the winter, you’re going to want these boot socks! They are thick but cozy in the best way! They were also on Oprah’s list of favorite things, so you KNOW they’re good! I just can’t get enough of this 3 piece glove set - just in case you lose one! They come in a few different colors so you can choose accordingly. 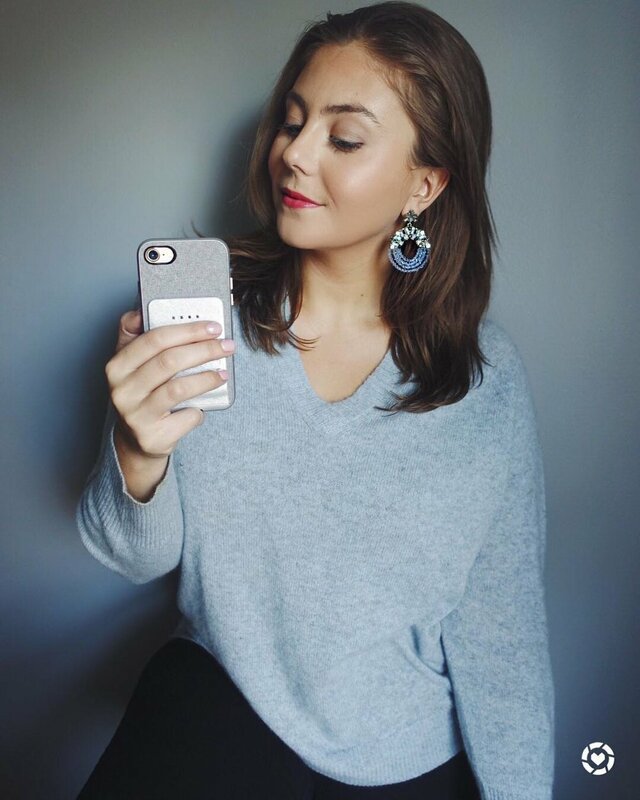 You’ve heard me talk about Bobeau (they’re having a 30% off sale right now on their site) a few times- I LOVE this brand. I’m all about cozy basics and I just love these sweatpants that are just over $40 but I’ve linked a lightweight pair here for $25! I talked about this blanket on my gift guide for parents, it’s just such a fantastic gift! I love that it comes in so many colors so you can literally get everyone on your list done with this. I recently read Michelle Obama’s book ‘Becoming’ and it was a fantastic read. No matter which side of the aisle you’re on, her life and overall message was incredibly empowering. I also really enjoyed reading an inside scoop about life in the White House. I RARELY see Kendra Scott on sale under $40 so don’t pass on this bracelet! I love this bracelet, I have it in grey, shown here. It’s such an elegant staple! I really tried hard to not put candles on any of my gift guides, we all know how to buy candles. However, I really like this mini set. You can gift it all together or break them apart and gift them separately. You know I love all things For Your Party! These under $40 sets make the perfect hostess gifts! They come beautifully wrapped which make it the ultimate gift. I mentioned this Philosophy set in my Ultimate Beauty Gift Guide and it doesn’t disappoint. You get a TON of product for $40! It’s a good bang-for-your-buck gift. 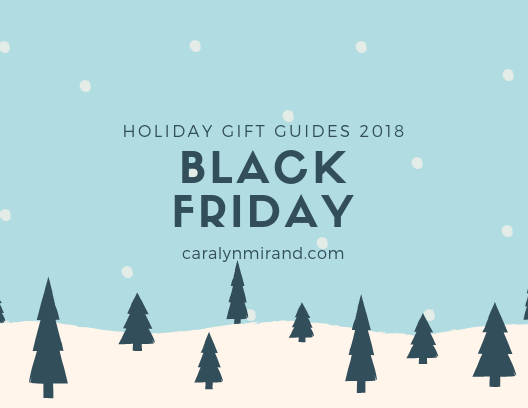 I hope you’re loving these gift guides! This is my last major guide before I start promoting last minute gifts so be sure to refer to my previous guides to get all of your shopping done! Happy Black Friday, everybody! Today happens to be my birthday so as I am celebrating with my family and Thanksgiving leftovers, I thought I’d share some of my favorite sales happening this weekend. In the spirit of Thanksgiving and reflecting on another year of life, I always wanted to share a few things I’m extra grateful for this year. I will do my best to keep this updated & re-share any deals happening on Cyber Monday! Happy Shopping! You can click the links directly below to shop (which also gives me a credit at no additional cost to you, so thank you for using)! This week on my stories, you voted that you’d rather see fall basics under $50 rather than coats and jackets. I am so glad that I asked because I was preparing to do only outerwear! You all help me so much, I so appreciate all of your feedback. At the end of the day, I want to bring you things that you actually WANT to see so keep the comments coming! This week, I challenged myself to find 50 items under $50 that are perfect for transitioning through seasons. I ended up finding some of my favorite pieces that I’m wearing (above $50) in under $50 dupes! I’ve also sprinkled in some coats + jackets under $50 in here. I will be showcasing about ten+ of these items on my IG story, so be sure to tune into that! Can’t wait to hear what you find. Happy #TryOnConfidential! 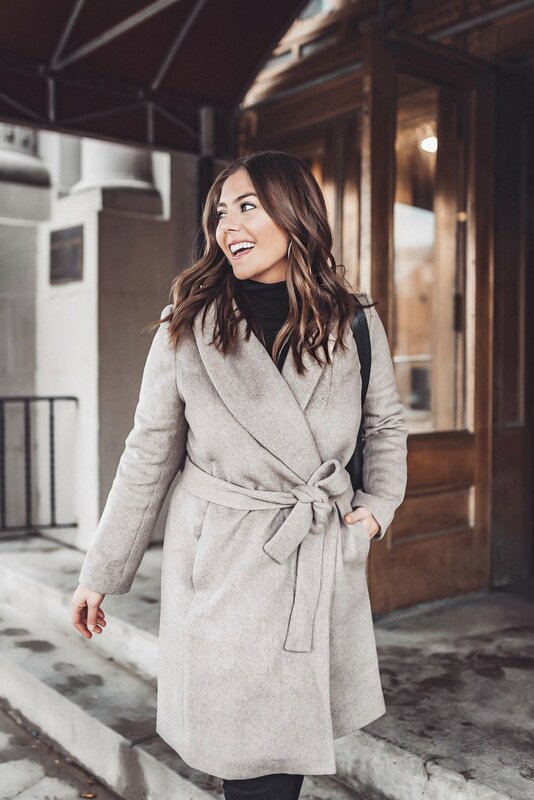 By popular request, I’ve compiled a bunch of my fall favorites under $100 - many under $50 that are must-haves this season to freshen up your wardrobe! Stay tuned for my IG stories today to see how I style these items to keep my fall wardrobe looking fresh and put together. Any items you’ve been dying to try? If you are in a fitting room or happen to purchase any of these items, I’d LOVE if you could use the #TryOnConfidential hashtag in your stories or posts! Did you love this Try On? Leave a comment below! Hey everybody! I don't know about you, but it takes me a few days to recover from Christmas. Don't get me wrong, I LOVE IT! But this time between Christmas & the new year makes me extra lazy! Which causes me to online shop... Which is why I asked you in my Instagram Poll if you're still shopping too and 60% of you said yes! I've rounded up my favorite deals happening right now! Up to 50% off all categories until January 2nd. There are so many good sales in all categories: men, women, home & baby! Be sure to check out these sales here! Bauble Bar: Up to 60% select styles! Eloquii (Sizes 12+) Up to 80% off styles! DSW: $20.18 off of $99, $60 off of $199 using code "HAPPY2018"
Macy's: After Christmas Sale extra 20% off using code "JOY"
Madewell: Extra 30% off all sale using code "YESPLEASE"
Sephora: Extra 20% off sale items using "SALEONSALE"
Hey Everybody! It feels so good to be back in action with a new computer, just in time for another holiday gift guide– gifts under $50! A lot of these items are under $20 which is even more exciting. It's such a snowy day here in Buffalo, so what better way to spend it than a little online shopping? I will be showcasing quite a few of these on my Instagram Story, showing you how they work and why I love them so be sure to check that out later on. Be sure to click on the images or font in bold to shop these fabulous gifts! Bliss Plush Throw: This blanket was gifted to us a couple years ago and we fight over who gets to use it! It is so cozy and it's the perfect size to cover yourself AND it folds up and stores nicely. It also comes in a wide variety of colors to match that special someone's home. Capri BLUE Volcano candle: I've posted about these candles a few times and I just cannot get enough. They smell amazing and they look fabulous on a coffee table or counter space. I like to group them by three so this would be a perfect gift if you're looking to spend around $50. They are also great alone if you're looking for a good stocking stuffer. His & Her Slippers: In the winter, my feet are ALWAYS cold so I love having a house slipper to wear around my home. I also like to bring them to other people's houses when I take my shoes off! And of course, Brian likes to copy me so he just bought himself a pair of slippers to wear around the house too! All of these pairs are from DSW and they're having a promotion right now: $10 off $49 using code GOGREEN. Jackery Portable Charger: Alright, so I can tell you that I own four different portable chargers- yes FOUR! This one has to be my favorite one because it lasts a long time (probably get about 4-5 charges to it) AND it is light/portable enough to fit in a small purse or pocket. My other chargers don't last nearly this long but if they do, they're too heavy to carry around all day. It also doubles as a flashlight- never know when you may need one! This one is only $18 right now on Amazon! Happy Plugs Wireless Earbud Plus Bluetooth Headphones: I was very skeptical to join the bluetooth headphone club, call me old fashioned- but these headphones are AWESOME! For the price, they have excellent sound quality and they are very easy to pair with any device. They also come in quite a few colors- so they're perfect for EVERYONE! The price depends on the color you select but they are all under $30. Carbonated Bubble Clay Mask: My friend Kelly just bought me this for my birthday after I saw her post about it, it's safe to say- I'M OBSESSED! I'm such a sucker for Korean skincare products. It is a bubble mud mask that provides pore cleaning and black head removal. Whenever I do a face mask, Brian always likes to join in on the fun too- face masks are for everybody! This one is also very fun to apply. Your snapchat friends with thank you! Cashing in under $10, it makes the perfect gift or stocking stuffer. If you're still not sold, check out this article from the Today Show about it! Sephora Gift Set: If you haven't already seen it, Sephora just launched their Holiday Gift Finder. It sorts by who you're shopping for & price- so awesome! I've linked a few of my favorite gift sets for him & her, something for everyone. They are also a great value because they include products that would be way more expensive if you were to buy them all together. Knock Knock Fill In Journal: These books are PERFECT for the sentimental people in your life that appreciate the thoughtful gifts. Simply fill in the blanks of this diminutive volume and voilà: it becomes a personalized gift your fam will read again and again; make it as playful, prideful, or poetic as you please! Brian bought me the "What I Love About Us" book for my birthday and it was by far my favorite gift. Coming in under $15, depending on the one you choose- you can't go wrong. Perfect for your significant other, mom, grandma, sister, dad, teacher, friend- the list goes on and on! Happy Socks: you can never really go wrong with socks: everyone needs them and everyone rarely buys them for themselves! Loving this set for the festive season with this Holiday Socks Gift Box. This collection of seasonal favorites makes a perfect present for that stylish someone in your life. Happy Socks are my favorite because they're unisex too- offering every design in unisex sizing! Are you loving this gift guide? Tell me what you liked and what you want to see more of in the comments below. Happy Shopping!